With its sturdy timber spreader bar, the Aruba Double Hammock is a seriously comfortable hammock at a seriously reasonable price! With a variety of colours, the Aruba Double Hammock is a great purchase for the first time hammock buyer. Made from Elltex - the Aruba Double Hammock can be hung both inside and outside in the rain or burning heat. Its high weather resistance is attributed to the special mix of polyester and waterproof cotton which make this hammock UV resistant, tear proof and resistance to fading. 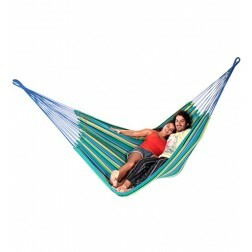 This is an amazingly comfortable hammock and is large enough to fit two people with space to move. 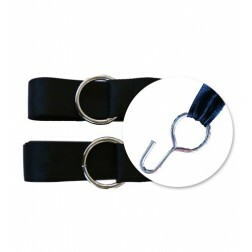 As mentioned above, the Aruba Double Hammock comes packed in a handy travel bag with carry strap made from recycled materials. 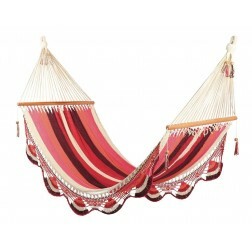 Purchase this awesome hammock today for yourself, or as a gift to some one deserving. Pick one up today and get free metro delivery in Australia.